Product prices and availability are accurate as of 2019-04-15 16:12:39 EDT and are subject to change. Any price and availability information displayed on http://www.amazon.com/ at the time of purchase will apply to the purchase of this product. Polishing Kit to clean and restore plastics. 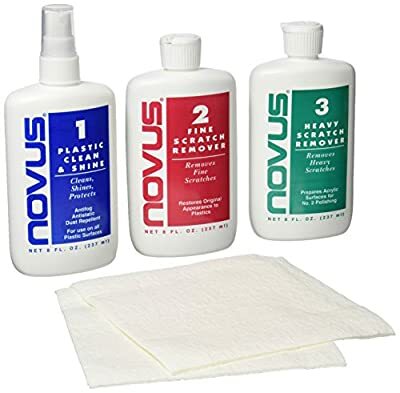 Kit contains a bottle each of NOVUS No. 1 (part no. PC-10), NOVUS No. 2 (part no. PC-20), NOVUS No. 3 (part no. PC-30) Polish, an informational brochure and one NOVUS Polish Mate.